You'll be £4.99 closer to your next £10.00 credit when you purchase U-108 at War. What's this? 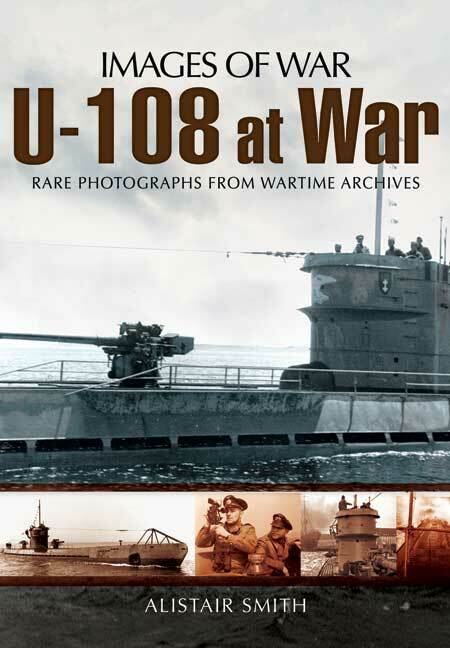 The photos in this book are taken from an unpublished album belonged to a member of the crew of U-boat U-108 during World War II. These good quality photos show every aspect life aboard before, during and after a typical mission into the Atlantic. There are stunning shots of the sinking of Allied shipping and the rescue of their crews (Against Hitler’s orders!). Rarely seen below-deck views show just how cramped the living and working conditions were in a submerged craft. Shots from the conning tower in mid-ocean demonstrate the vile sea conditions that the vessels were forced to endure, from gigantic seas to frozen decks and equipment. The comradeship of the close-knit crew is expressed in shots showing how the men’s domestic chores were performed in the confined space of these small craft miles from the nearest land. It is most unusual to have such a comprehensive photographic record of a U-boat on active service since so few survived the war intact. …provide an interesting insight into life as a submariner.